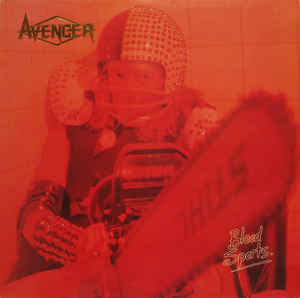 Never mind the spandex, NWOBHM fans know that Avenger are the best (reunited in 2005 !). Raven too, but this is an Avenger post. "Blood Sports" is one universal masterpiece with an early Judas Priest vibe and the power and speed of Saxon - something like "killing machine" and "stained class" intersected with "the power and the glory" and "strong arm of the law". The melodies are totally great (much less cheesy then Dickinson-era Maiden), the execution is powerful and tight, the solos kill and the whole is enveloped in a cold, pre-speed metal atmosphere. I bought these albums when they came out, never stopped listening to them and 24 years later, this is more than ever KILLER TRUE HEAVY METAL ZERRRRRRRRRRRRRRRRRRR!!!!!!!!!!! Track 1 is a track from the Various Artists - One Take No Dubs 12" EP. 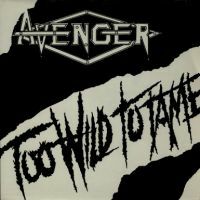 Tracks 2-3 is the single "Too Wild To Tame"
Tracks 4-12 is the debut album "Blood Sports".